I have been deliberately ignoring my nails for the longest time and whilst super-short, naked nails didn’t bother me, it is always pleasant to have colours and properly manicured fingers. It does make a difference to the personal grooming part and making an impression. The thing about going to nail parlours is – I hate having to face hard-selling manicurists and I dislike rejecting people and even having to open my mouth to turn them down. The beauty industry has been known to not sustain too long, hence all the more I wouldn’t want to sign a package to come to realise that they close down after that. 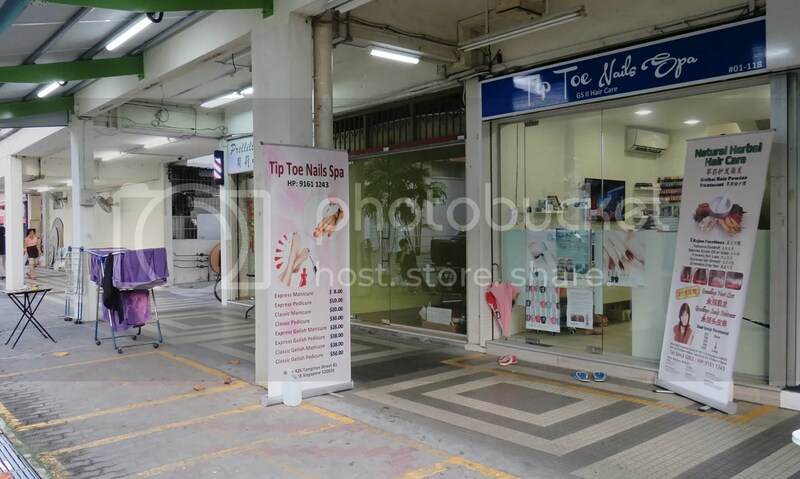 Recently, I stumbled upon Tip Toe Nails Spa, a humble and cozy nail and scalp-care salon within my neighbourhood and I was pleased to know that they do not offer package (nor hard-sell) to customers unless requested! Since it has been years since my regular manicures and pedicures, I requested for gelish for both so they will last longer even if I play my ukulele or do hikings. 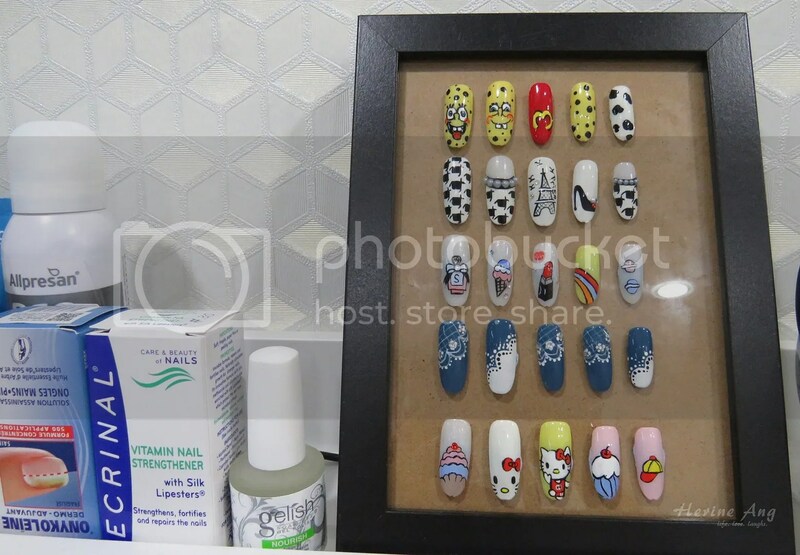 Before the visit, I sent a few nail inspirations images to Connie and after she saw my nails condition, she advised which are the designs that might suit me. I specifically told them no too-girly nail designs for me and that means no/minimum pink and red. Here was what I got! 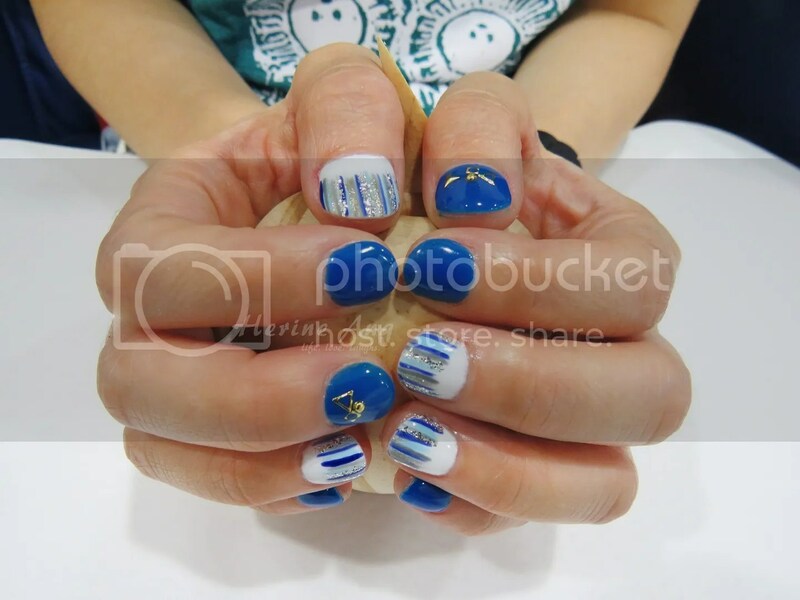 Blue and white nails with stripes in light, dark blue, silver, gold and grey. 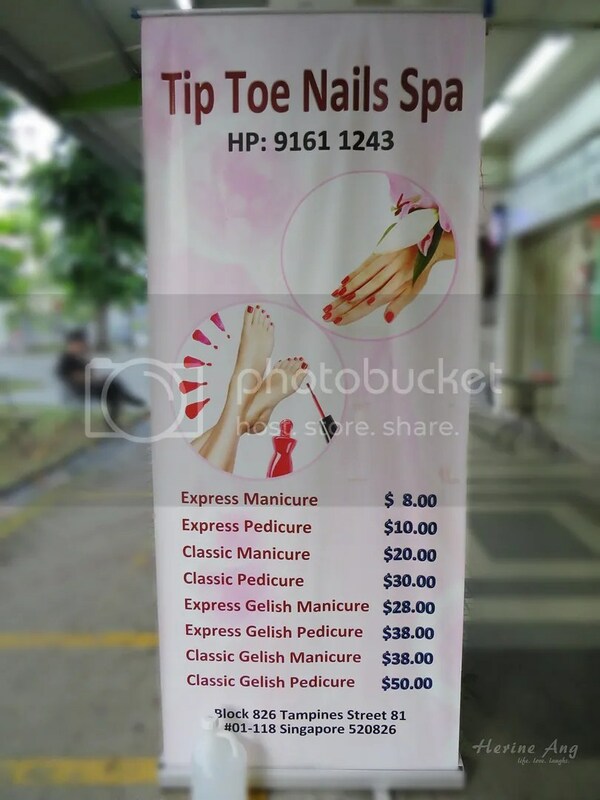 I think their prices are pretty reasonable compared to the many nail salons in the area!